Michelle Davies | The Journal Gazette Police investigate a death in the 1300 block of St. Mary's Avenue Sunday evening. 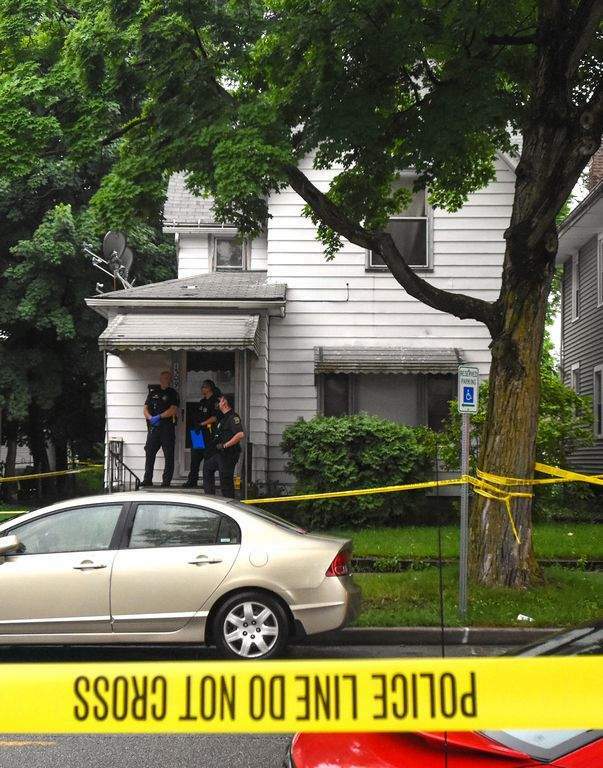 The death of a man in his home Sunday on St. Marys Avenue has been ruled a homicide. Fermin H. Rosa Jr., 67, was found in the home at 1309 St. Marys Ave. around 7:30 p.m. The cause of death was blunt force injuries to the head, a news release from the Allen County coroner's office said. His is the 20th homicide in Allen County in 2018. The incident remains under investigation. For more on this story, see Tuesday's print edition of The Journal Gazette or visit www.journalgazette.net after 1 a.m. Tuesday.